Join together for a creative and spiritual filled reenactment of the Last Supper. Come to reflect, remember and be present, to feel the emotions of that last night, with supper. Please come fasting at 7 pm to go out filled with the love of God and spiritual food. Fisk Memorial United Methodist Church welcomes you to its website and invites you to worship with us. 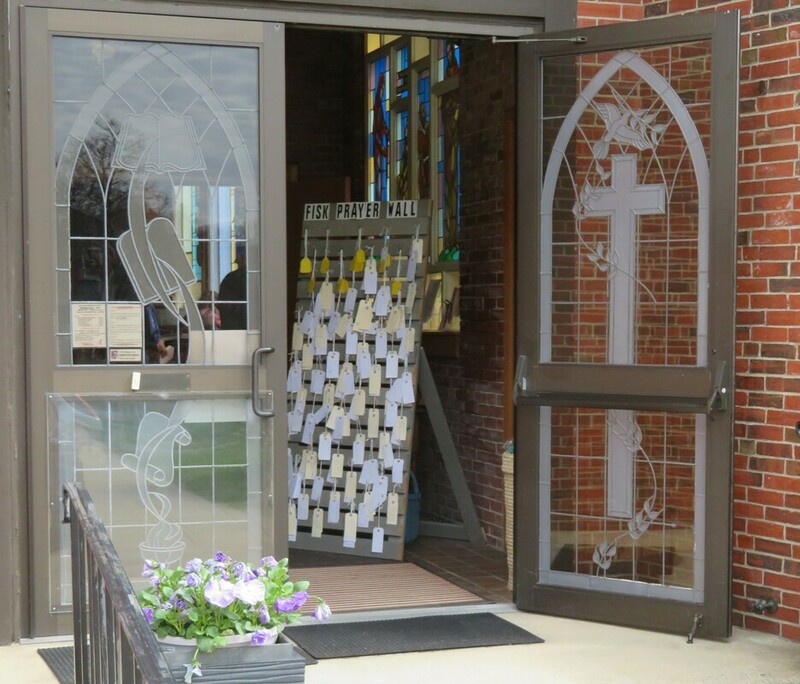 Located in Natick, on Walnut Street just off Route 9 East a half mile after the Route 27 intersection, Fisk Memorial UMC is an open, caring, and loving church. We invite all who are seeking a faithful and meaningful relationship with God and fellowship with other Christians to join us for Sunday worship and for Christian Education classes for adults and children. We are active in the community. Fisk supports many outreach organizations within Natick and also sponsored the first day care center outside of Boston in 1971. Our December Live on the Lawn - The Christmas Story, our summer Vacation Bible School, on-going Bible studies, and special ministry groups, such as our prayer shawl ministry, are open to all. Visit our Calendar to see more about what's happening at Fisk. The Sunday Morning service is a traditional worship service, featuring a children's message and a senior choir. Communion is celebrated on the first Sunday of each month. Professional Childcare - available from from birth to age 5 during the Sunday School hour and worship service. Fisk is a vibrant christian faith community located in the Metrowest area. Small groups are at the core of Fisk's community life. There are fellowship, prayer, and bible study opportunities for people of all ages, stages and seasons of life. Sunday School classes for both children and adults are held each Sunday morning at 9:20 am, preceding the traditional worship hour. Youth programs for younger and older youth meet Sunday afternoons and occasional week nights. There are active United Methodist Women and United Methodist Men units open to all women and men of the church. For those who live in Natick, we broadcast portions of our weekly service on the local access channel of Natick Pegasus. Or click on the Newsletter and Sermons menu for the complete local access schedule and copies of our monthly newsletter, The Messenger. Come visit us on a Sunday. We invite YOU! April 27th Theme : It's Spring Flower Time! Flyer. All children ages 1-7 and care-givers are invited to a time of motion, music and fun. Free.